Pamela Renner has been assisting buyers and sellers achieve their real estate goals for over 30 years. Specializing in listing and selling fine properties providing a high level of service throughout that complex process. Specializing in contract preparation, negotiation, marketing/valuation and meticulous attention to detail. Pamela knows the inventory inside out and can help you identify your own unique piece of Jackson Hole whether it is a grand estate on the Snake river, premier building lot, investment property or that quintessential cabin in the woods. Call Pamela First. The property is just over 35 acres with water everywhere you look. The home is a magnificent 5 bedroom, 5 full plus 2 half baths plus an office and media/game room with a 1200 square foot oversized three car garage. The property is just over 35 acres with water everywhere you look. 5 bodies of water that cover over 10 acres. You cross water as you enter the property, drive past water along the way to the main house and overlook Stone Fly Lakes from most of the home. The home is a magnificent 5 bedroom, 5 full plus 2 half baths plus an office and media/game room with a 1200 square foot oversized three car garage. Located in one of the most pristine and wildlife-rich areas in Teton County, this exclusive property fronts the Snake River with two streams running through it. 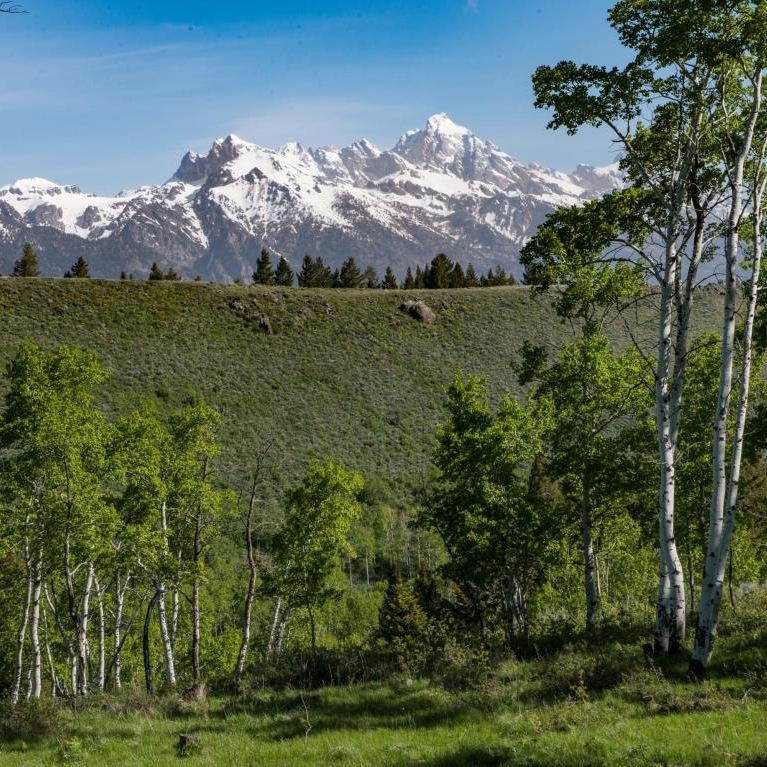 72.5 Acres located in one of the most pristine and wildlife-rich areas in Teton County, this exclusive property fronts the Snake River and has two streams running through it. Just 10 minutes from town, restaurants, world-class recreation, and medical facilities, yet totally private and remote. 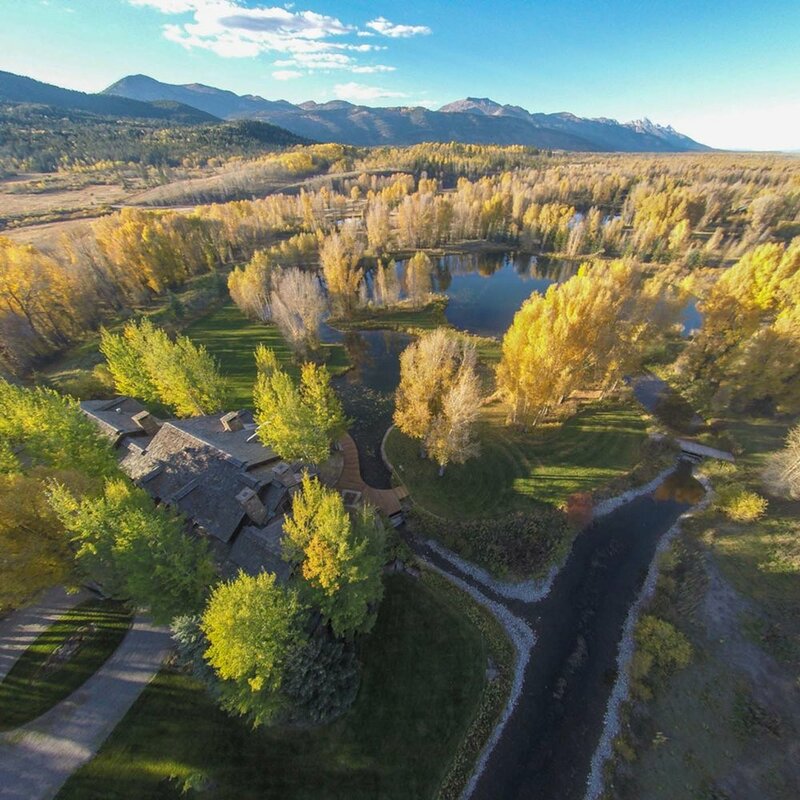 The ranch offers dramatic views of the Teton Range across water with towering cottonwood stands, lush meadows, and beautiful aspen groves throughout. Elk, moose, and swans are frequent visitors. There is excellent fishing on Price Creek and the Snake River as well as the ability to keep horses on the property. This property allows for a larger compound of residential dwellings than most in Teton County. Please call for more information. Situated to take full advantage of the subtly changing light on the Sleeping Indian, this site overlooks one of the valley's most scenic corridors. This mountain ranch feels more remote than it actually is as moose and elk range on the property and mule deer are often seen perched on outcroppings of rock. Situated to take full advantage of the subtly changing light on the Sleeping Indian, this site overlooks one of the valley's most scenic corridors. A yurt has been constructed on the property so one can sit on the deck and enjoy what views would be from a future home. No other home in Teton Pines, and few others in the entire valley, offers a setting as water-rich as this one. Situated on a private two-and-a-quarter-acre island off of the prestigious Greens Place, the location is also among the most private in the area. Completed in 2001 and recently remodeled, this is one of the most distinct homes in Jackson Hole on one of the valley's most unique properties. 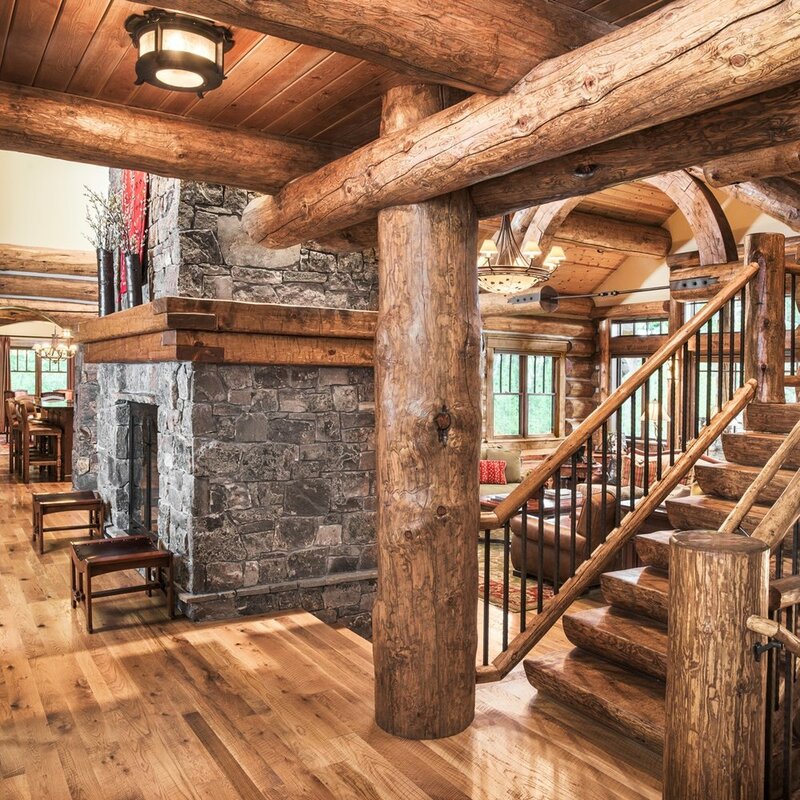 Traditionally constructed of character timbers and stone and detailed with meticulous care and style, this Old World elegant residence sits on a two-plus acre private island surrounded by swan ponds and overlooking the 18th fairway of Teton Pines Golf Course in the shadow of the Teton Range.